2011. Messerschmitt Me 262 wing span 48 inch. It is now time to try and see if a twin EDF Fan model would have sufficient power to fly satisfactory. 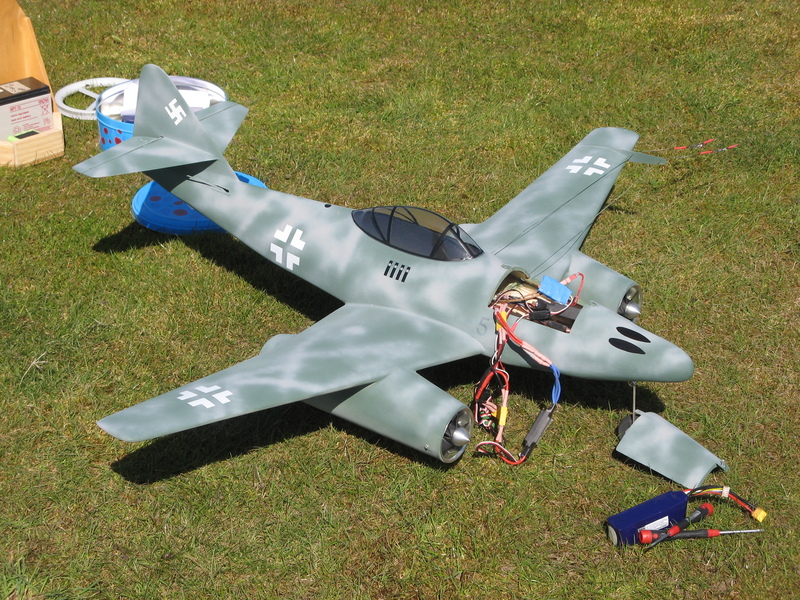 It was therefore decided to construct a Me 262 using two Lander 75 mm diameter Fans rated at 600 watts each, these would be powered from 14.1 volt Lipos running 60 amp speed controllers. Construction of the model proceeded well with no major problems the Fan units were fitted into cardboard tubes to save time, the model was also fitted with E-Flite retracts. The model was taken to a local grass playing field for the first test flights, to our amazement the model leap off the ground at great speed showing the benefit of metal Fans, the model also showed very good low and high speed flying characteristics, bearing in mind the all up flying weight of 2.3 Kg. 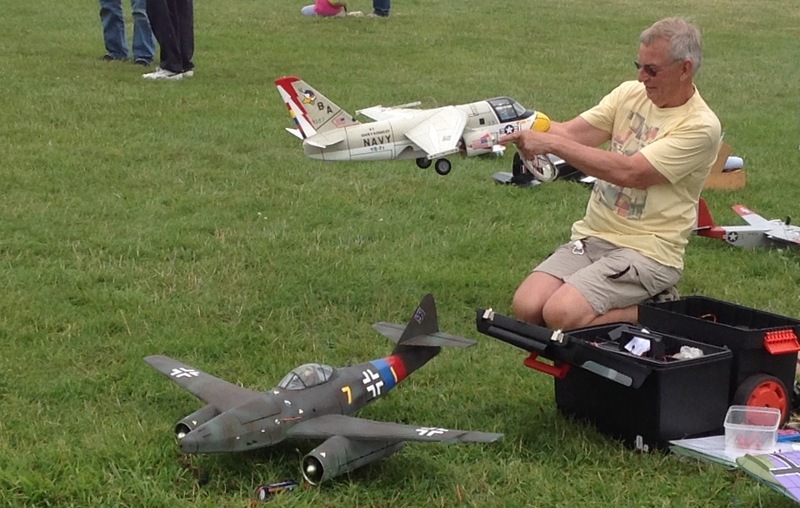 This is broken down into model weight of 1.1Kg and all electronics including retracts 1.2Kg. The model has now had a new 10mm carbon fibre push rod fitted as I believe the wire rod was bending on high flight, I have also been testing different front and rear cowls to the fan tubes to try and improve the efficiency of the Fans and also enhance the scale appearance. The results of all my work have proved the viability of using EDF Fans in control line scale models. The model was repainted at the end of 2014, this is the only photo I have of the model.